Damgude recalled P. Chidambaram's claim of "Urban Naxalism" being in existence and how Manmohan Singh government had listed these organisations under Urban Naxalism. Damgude also reacted to his picture with Sambhaji Bhide who was earlier accused of instigating the violence in Bhima Koregaon clash case. 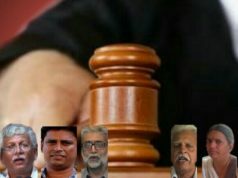 The complainant in the Bhima Koregaon violence case, Tushar Damgude, spoke to the news agency, ANI, and lashed out at opposition parties who are making noise over August 29 arrests of 5 activists. 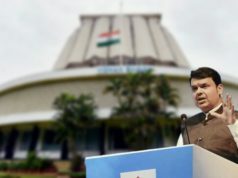 While speaking to the news agency, Damgude lauded the Maharashtra police and administration for their action over his FIR. 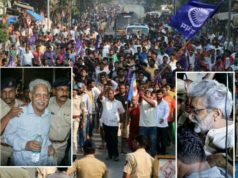 Damgude had filed an FIR against the Bhima Koregaon violence’s culprits on January 8 and had named prime suspects in the case. 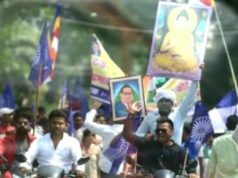 Bhima Koregaon violence broke out between Dalits and Marathas, reportedly, on January 01, 2018 on the day of 200th anniversary of Battle of Bhima Koregaon where the backward caste Mahars (leather workers) marked their triumph over superior force of Upper caste Peshwa Baji Rao II in 1818. 2 were reportedly found dead due to the clash between the Dalits and Marathas. The incident had called for a meet on January 1, 2018 where many Dalit and Bahujan groups united under the banner “Elgar Parishad”. 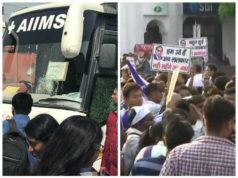 This followed the nationwide protest from Dalits which brought Maharashtra to a standstill as the administration fell flat for being incapable of handling the whole incident. Several incidents of stone pelting and violence were reported from several parts of the state. 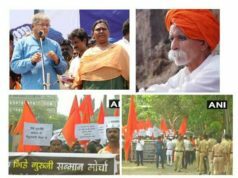 Was Bhima Koregaon a Battle between Upper Caste Peshwas and Backward Caste Dalit Mahars? Damgude recalled P. Chidambaram’s claim of “Urban Naxalism” being in existence and how Manmohan Singh government had listed these organisations under Urban Naxalism. 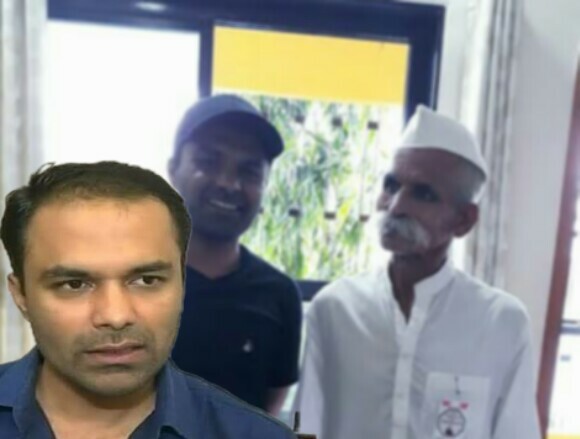 Damgude also reacted to his picture with Sambhaji Bhide who was earlier accused of instigating the violence in Bhima Koregaon clash case. “It’s not only with him. I have clicked pictures with many people around. The same picture has been used in several articles. What is the problem with that? I have my own views,” asserted Damgude to ANI. The activists who were arrested by the Maharashtra Police have been directed to be kept under “House Arrest” by Supreme Court till September 6. Several petitions have knocked the door of Supreme Court since then against the arrests of the activists. The court will hear the argument in the case and will decide the fate of the arrested activists.